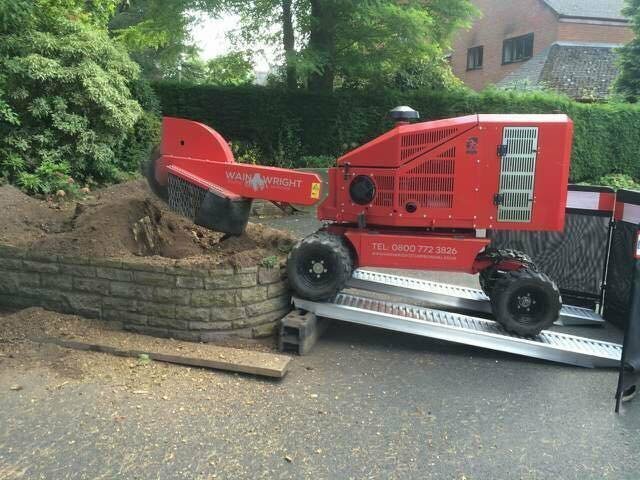 We work across Cheshire, Manchester North Wales, Lancashire and all surrounding areas. We will tackle any size of stump and grind below ground level, from small back gardens to large construction sites and everything in between. We have forged a reputation for efficient, quality work, delivered professionally and with integrity and pride ourselves on providing a personal service. We hold all the relevant NPTC certificates and are fully insured. Excellent service, friendly, professional and efficient. One large and four smaller conifers removed, requiring great care as close to a neighbours property. As per a previous reviewers comments; professional, smart, personable team led by Alex. Arrived promptly. Did an excellent job. Left the premises clean and tidy. All at a reasonable price. Would certainly use them again, highly recommended. Superb people to deal with. Professional, personable, reliable. Highly recommended. Professional, smart, personable team led by Alex. Arrived promptly. Did an excellent job ensuring we were in an agreement with everything they did. Left the premises clean and tidy. All at a reasonable price. Will certainly use them again. Both chaps work on time! 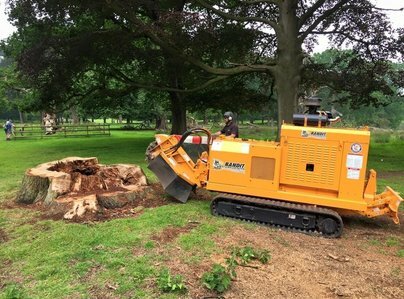 Super job by removing 2 tree stumps. Fabulous service, 2nd time client. I would definitely recommend them. They effectively removed several tree stumps for me and even cut some large tree branches into logs free of charge. Exceptional work. Arrived early and the team worked extremely efficiently. The work was done very quickly and the garden was left immaculate. Highly recommend. Great team. Very efficient, polite and effective. Good value for money. Arrived on time; friendly and professional throughout. Great job all round. I wasn't at the property the day they cut the two trees down, so I was delighted to return and find they had done a brilliant job and left no mess.